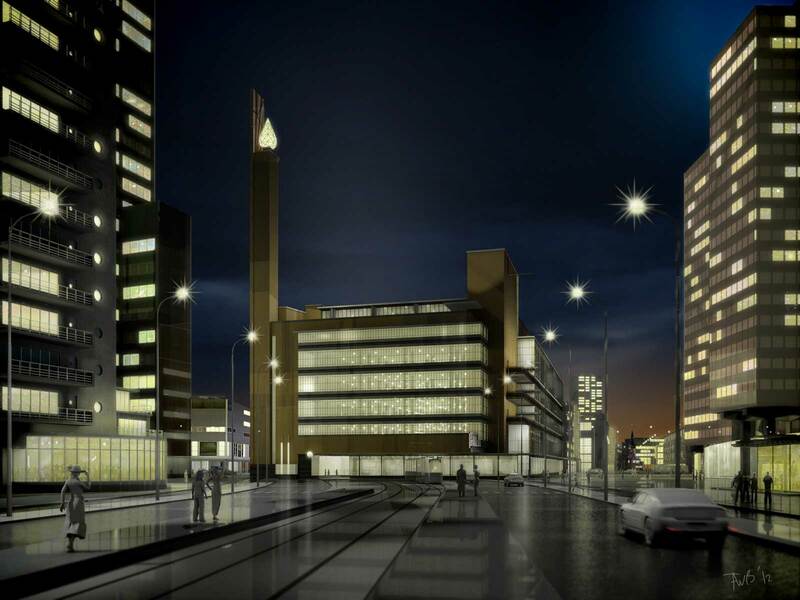 On March 10, my first exhibition opens with, among others, this piece, showing the old Bijenkorf by architected W.M.Dudok on it’s original location, surrounded by present day buildings. The old Bijenkorf (or “Beehive”), a legendary building with a tragic history: opened in 1930, severily damaged during the bombing in 1940, and finally demolished in 1960. Soon virtually resurrected on the exhibition at the Nivo Dirk Smit 76, Rotterdam.